When you find the Ko Phi Phi hotel deals page and have selected what's best value for you, you will then only have one task left, to enjoy your holiday in paradise. Ko Phi Phi is one of Thailand's jewels, a place more photographed than almost any other location outside Bangkok's Grand Palace. The sheer majesty of the island cliff scenery, the aqua marine sea and the beaches make it difficult to ignore. Ko Phi Phi hotel deals come in many shapes and sizes depending on the viewer’s perspective. A great deal for a 5 star beachfront resort is no use to someone who enjoys travelling on a budget and or visa versa. Similarly, a Ko Phi Phi hotel deal in low season is no use for someone who only has a window of travel time smack in the middle of Christmas and the peak season. 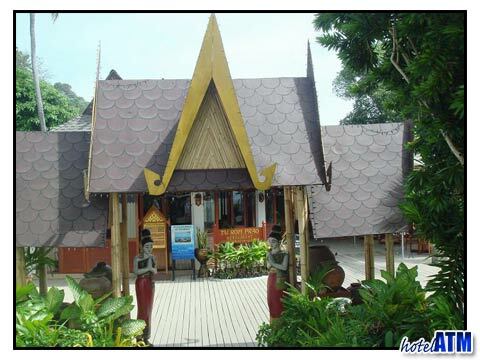 This article points to what you need to know to get the best Ko Phi Phi hotel deals for you. As you might expect, there is a great difference between a beachfront hotel and the ones inland, even if it is only 100 meters inland. The Phi Phi Hotel group runs 3 such hotels not on the beachfront which are well-reviewed and offer superb rooms for their respective star and price characteristics. The PP Palmtree Resort has the finest rooms from 75 Euro, the Phi Phi Hotel has rooms from 48 Euro and overlooks the main pier and the PP Casita (from 45 Euro) has bungalow rooms just 50 m from the famous Loh Dalum Beach. As these Ko Phi Phi hotels are not on the beach they are usually the last to have availability during Christmas and New Year peak season, Chinese New Year (CNY) and Thai New Year (The week around 13th-15th April) so are worth checking out if you are booking late. The primary web page to search for Ko Phi Phi Hotel Deals takes you to the hotelATM.com website for Ko Phi Phi i.e. http://phi-phi.com. Here you get all the Free Night Specials, Fixed Night Promotions, Special Discounts, Early Bird Offers and Honeymoon offers given by the Ko Phi Phi hotels. This is displayed by month so that by entering your arrival month or date you will get all the offers available. On top of this, hotelATM.com has its website-wide 'free night long stay special' for every booking over 15 nights. The 'Free Night Special' page on every hotel fact sheet page will take you to the page that lays out all the deals available for your chosen hotel. The luxury hotels of the Zeavola Phi Phi Resort, Holiday Inn Phi Phi Island and the Phi Phi Island Village Resort And Spa have a yearly offer during the low season (May 1st to October 30th) and there are some really surprising and strong Ko Phi Phi hotel deals during this period. The key luxury Phi Phi Hotels are Zeavola Phi Phi Resort, Holiday Inn Phi Phi Island, and the Phi Phi Island Village Resort And Spa. These are often booked up in the main peak season (20th December until 20th January) well in advance so it is really difficult to get a great deal unless you scan through the differing room types and see that the beachfront room will be 35%-50% more than the same room with a garden view. Having said that, the 4 star Phi Phi Island Cabana Hotel doesn't get booked as quickly as the other the luxury resorts. Although the Phi Phi Island Cabana Hotel has a unique location in-between 2 bays, it is right next to the pier area and is in a 3 storey hotel building style. However the price tag of 'from 96 Euro' a night does make it the best luxury deal. The boutique Mama Beach Residence has only a few rooms, one restaurant and no pool at the time of writing but has a luxurious rooms well worth the 'from 65 Euro' a night tag.